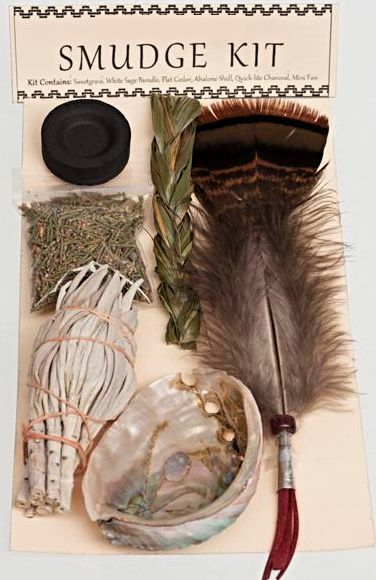 This sacred smudge kit contains everything you need for purification and to keep away bad spirts. It includes an abalone shell, a mini smudging feather, sage bundle, sweetgrass, flat cedar, and quick lite charcoal. Instruction card included. Carded and bagged for easy display.